The Burlingham bodied PD3s made a big impact when they first appeared in 1957. RVPT has had two examples in the collection for many years, 1523 and 1553. 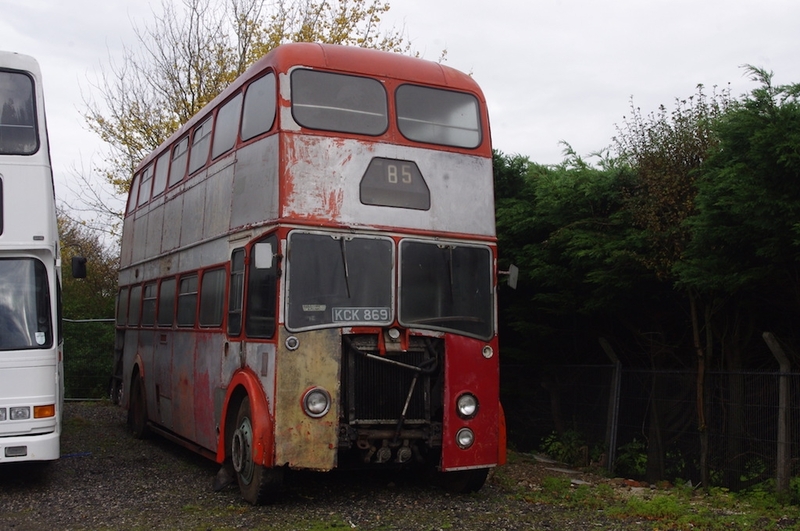 The latter is in poor condition and has been kept as a donor for the former. However, with so many other projects underway there was little likelihood of 1523 being fully restored by us for many years. We have therefore agreed to sell it to a group who intend to begin restoring it in the very near future. It has been moved from our depot to await transportation to its new home at Kirkby. Hopefully we will soon be able to enjoy the sight of one of these fine buses back on the road.